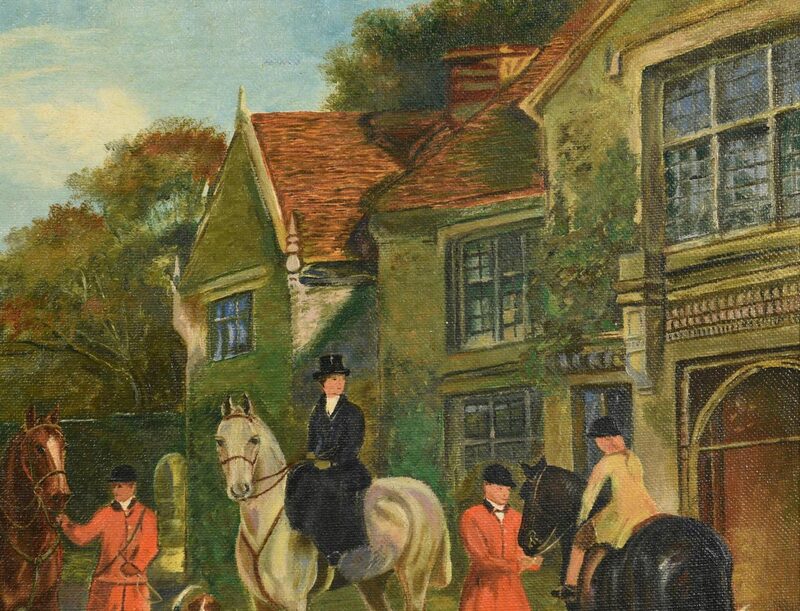 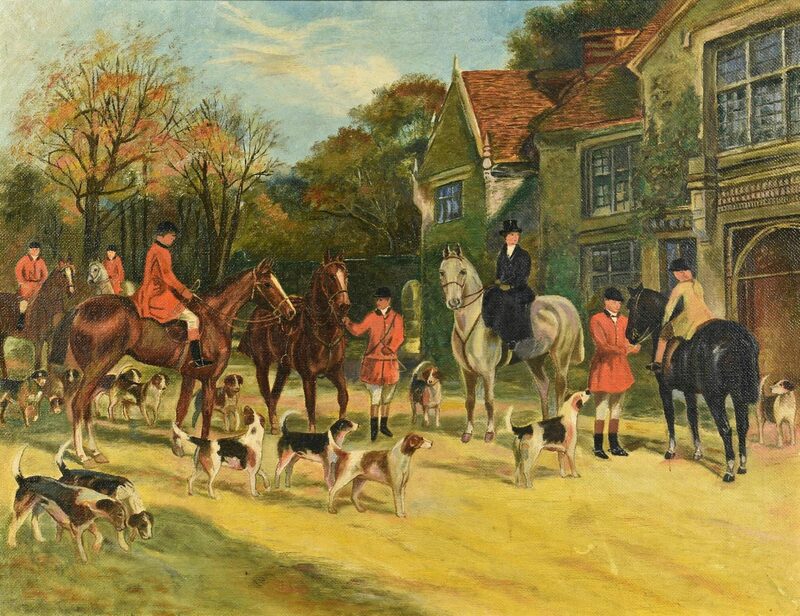 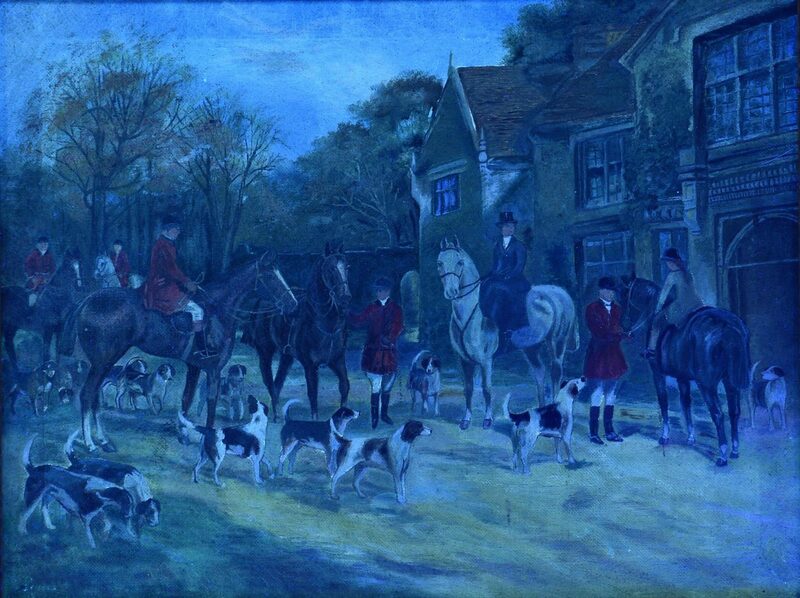 Large Oil On Canvas English hunt scene, depicting a group on horseback at a manor house preparing for the hunt. Signed “Sellars” on stretcher en verso. 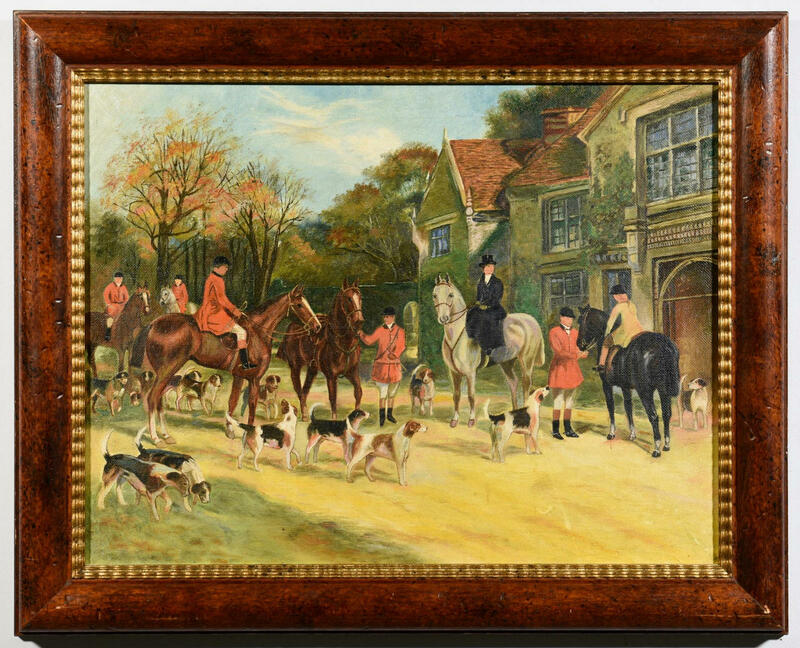 Housed in wooden frame with gold inner trim. 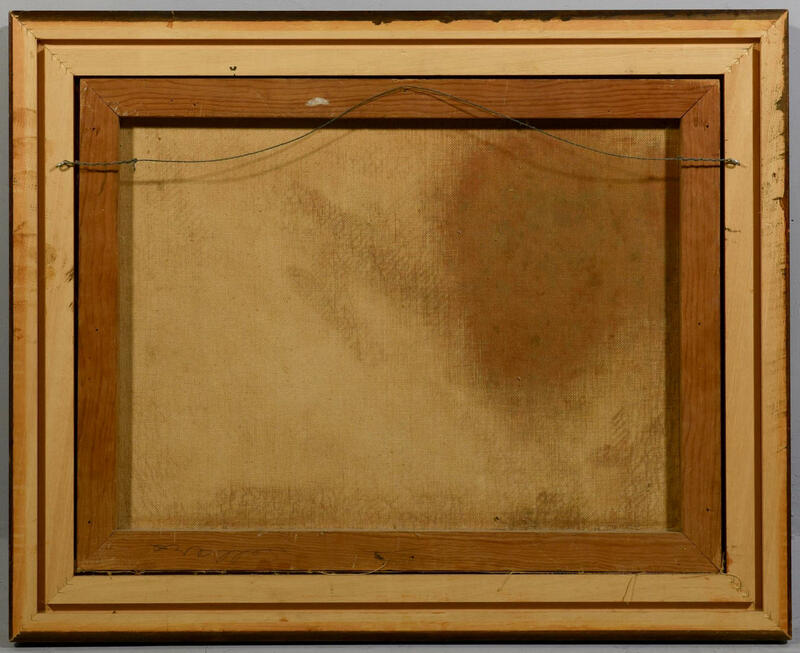 Sight – 17″ H x 22″ W. Framed – 22″ H x 27 1/2″ W. English, late 19th-early 20th century. 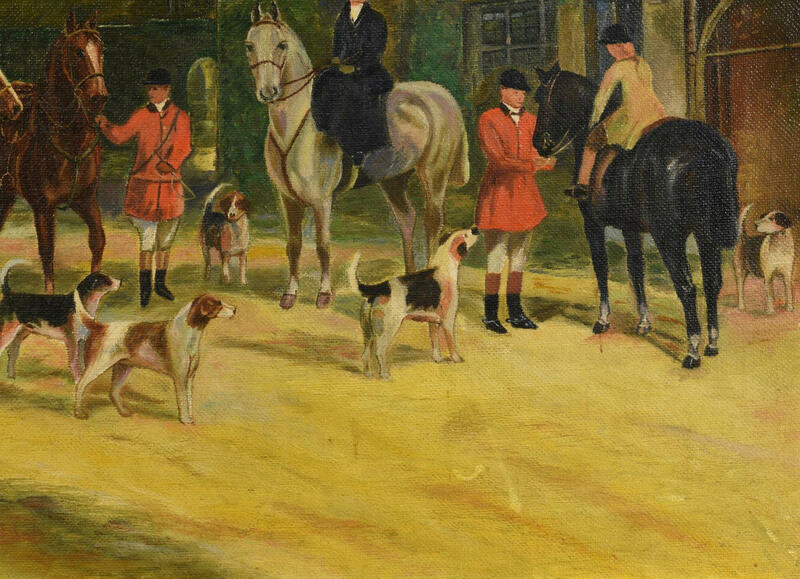 Provenance: Private Belle Meade (Nashville) Tennessee collection. 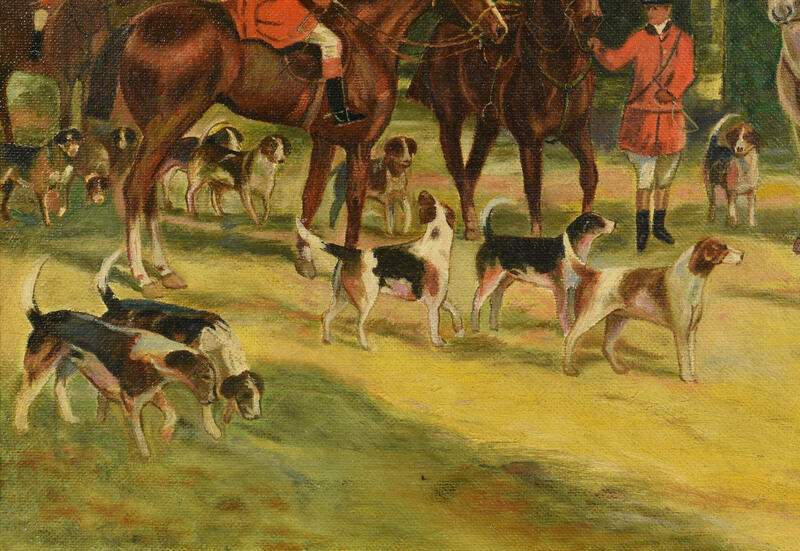 CONDITION: Overall very good condition with areas of minor surface abrasions, lower right quadrant, largest 4″ x 1/4″. 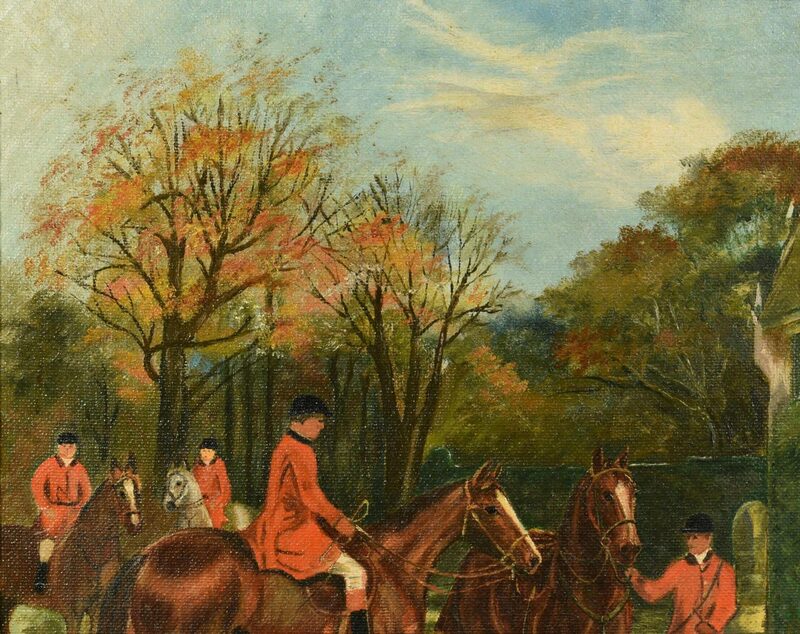 Surface grime, top left.